Flowers, candy, oversized stuffed animals and mushy cards are typical love expressions. However, if you’re looking for a unique way to shower your loved one with affection, how about a special getaway? No matter the size of your budget or the amount of designated time left in your vacation bank at work, the following are ideas to fit any lifestyle. There are a number of holidays throughout the year that celebrate love and romance. 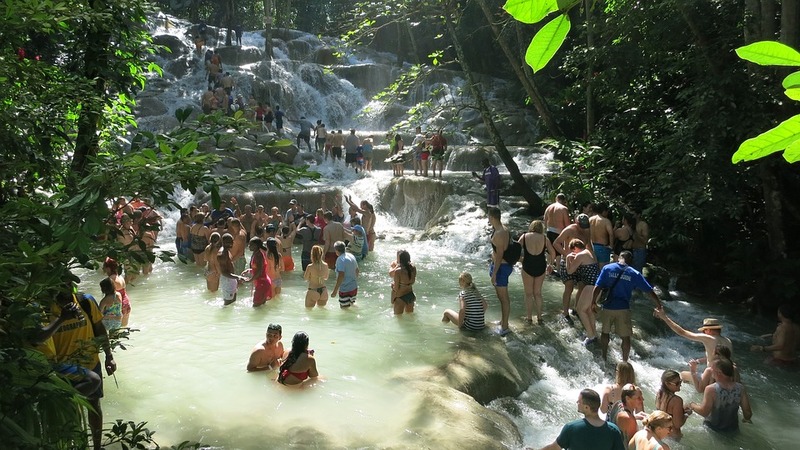 If you’re looking to escape the cold and ignite your relationship fires, Jamaica is an ideal warm weather destination. A country rich in culture, tropical breezes and sunny beaches, you’ll find it a hotspot for those who are looking to relax or seek out some adventure. If you’re looking for a non-tourist attraction, visit the Blue Hole mineral spring where you’ll find bright, pristine blue waters. Do you enjoy reggae? The Bob Marley Museum hosts a tour that pays homage to this brilliant musician. If it’s sun, sand and water you have in mind, the Doctor’s Cave Beach Club is a unique find for swimming and snorkeling. Although many people fly to Jamaica, over 1 million choose to take a cruise and enjoy the open sea air while travelling. If you choose to go cruising, and you experience a dock accident injury (yes that does happen more than you think), make sure you immediately contact the authorities to see what your options are. Don’t wait until you get back to the mainland US. Valentine’s Day is one of the most romantic days of the year devoted to love. Whether it’s candy, cards, jewelry or flowers, Valentine’s Day gifts have been a true measure of love and devotion. Although baubles and scrumptious caramels are decadent treats, memories from a trip together are sure to last a lifetime. 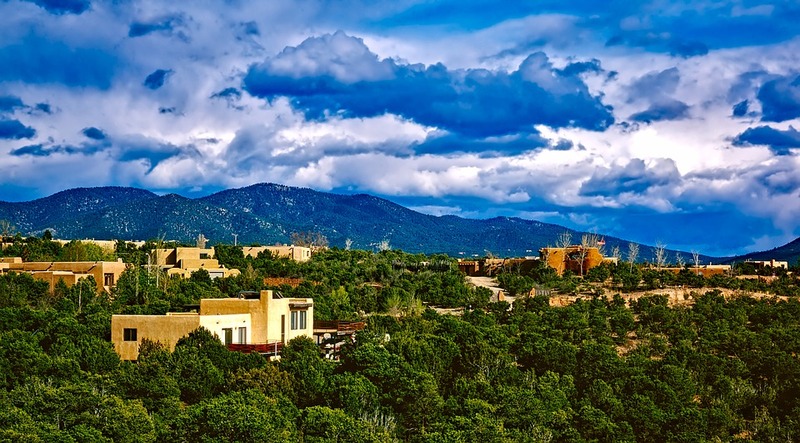 With its unique architecture, old world charm and relaxing vibe, Santa Fe is a one-of-a-kind spot for couples looking for romance. If you’re interested in history and architecture, head to the Georgia O’Keefe Museum and San Miguel Chapel. The Santa Fe Botanical Garden offers regional plants in a peaceful setting. If you’re in search of a passionate place to escape, a trip to La Posada Resort and Spa hosts spa packages, Swedish Massages, chocolates, champagne, strawberries and more. Traveling down the canals of Venice while being serenaded by a gondolier may be out of your reach. But if you’re looking for a quick, romantic getaway for two, the Venetian in Las Vegas has a similar romantic vibe. Enjoy an intimate dining experience with candlelight at Pinot Brasserie. If you’re looking for shows and concerts, Penn and Teller, Michael Jackson ONE and the Beatles “Love” are all exciting options. You can also get married in style because Las Vegas has an endless supply of wedding chapels where you can mark the special occasion. Breathtaking vineyards, quaint caverns and luxurious suites await you and your loved one when you visit Napa Valley. The ultimate couple’s destination begins with a sampling of wines from the various regions. If you love food, there’s no shortage of award-winning dining establishments. If you’re looking to get back to nature, Robert Louis Stevenson State Park is a great destination for couples. Here you can explore the scenic spot where Robert Stevenson and his bride honeymooned. If you venture out for the 5 mile trip on Mount St. Helena, you may also be gifted with breathtaking views of Mount Shasta. Charleston is a travel destination that boasts more than moss-draped vegetation and ancient mansions. Home to one of the most romantic movies of all time, “Gone with the Wind,” Charleston is filled with art galleries, unique shops, horse drawn carriages and gas lamp lighted cobblestone streets. History buffs will love touring museums with Civil War artifacts. If you’re looking for sun, escape to Isle of Palm, Folly Beach and Sullivan’s Island to welcome in the gentle waves of the community. Magnolia’s is a gastronomic dream for those looking to whet their southern palate. There are other ways to express your true feelings besides the usual gifts of chocolates, flowers and wine. If you want to give the gift of romance, why not explore some of the above unique romantic destinations where you can build your own set of memories. No matter where you decide to travel to with your loved one, it’s important to be safe and prepared in case of an accident or injury. A little research beforehand can save a lot of time on your trip in case something goes wrong.